By Ground, Air, or Sea, we are your training solution! 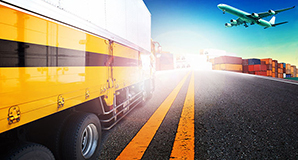 Get up to date with the latest 49 CFR, IATA DGR, and IMDG Code with our DOT Hazmat training classes. 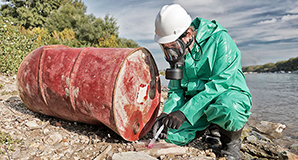 OSHA HAZWOPER Training is a must for anyone exposed to hazardous substances or engage in clean up, treatment, storage and disposal of hazardous waste. Check out our 24 hour initial course or 8 hour annual refreshers now! 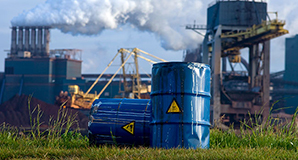 Stay up-to-date with the latest rules for managing your site’s hazardous waste from cradle to grave under the US EPA’s RCRA and Title 22 Regulations. While some employers may feel like the Occupational Safety and Health Administration exists to impose fines and make their lives miserable, that’s simply not the case. OSHA exists to save lives, prevent injuries and preserve the safety and well-being of everyone who’s part of the American workforce. With such a broad-based mission, it’s only natural that OSHA requires employers and their employees to undergo safety training and earn certifications if they belong to certain industries. According to OSHA, education and training are essential in keeping workers and managers informed about workplace hazards and controls so they can work safely and increase their productivity. Through mandated education and safety training, OSHA aims to provide employers and all their staff members with the knowledge and skills necessary for them to complete their work safely and without creating safety hazards. OSHA also strives to provide workers at all levels with the skills to appropriately identify, report and react to workplace hazards through education and ongoing training. Finally, OSHA strives to help people in certain industries avoid workplace hazards that might be unique to their vertical by having them complete specialized training. About 6,000 employees perish from injuries sustained in the workplace every year in the United States. Around 50,000 people die as the result of exposure to dangers in their workplaces. Approximately six million American workers suffer injuries at work annually. Workplace injuries cost U.S. employers over $125 billion every year. Hazmat School understands the importance of remaining current with the OSHA training you and your employees need. That’s why we offer comprehensive OSHA training courses. By providing required training courses online, we enable you to complete your training and earn the relevant certificates any time of day or night from any location. We guarantee that the safety courses you take through our school will meet OSHA’s requirements. When you complete your OSHA-approved online safety training through Hazmat School and pass the final exam, you’ll get your certification instantly. Our asbestos awareness courses will teach you everything you need to know to identify asbestos. You’ll also learn how to protect yourself from asbestos and the effects of being exposed to it. If you are a building inspector or do any maintenance or construction, particularly on older buildings, you may want to sign up for an asbestos awareness training course at Hazmat School even if you’re not required to complete the training as part of your job. Depending on the type of work you do, your job may require you to work in small, confined spaces. Staying safe in such places requires training. Our confined space courses will teach you how to work safely in confined spaces without putting you or your coworkers in jeopardy. Our silica in construction for exposed workers course satisfies the training mandates OSHA has for employers, managers and competent persons in the construction industry. If your job puts you at risk for being exposed to rock, concrete or another kind of construction dust, or if you’re in charge of others who might be, our online OSHA silica in construction training course is for you. Our OSHA safety courses are affordable. We offer discounts to corporate and group accounts as well as government employees, which make our courses even less expensive. Help is available around the clock as you make your way through your coursework. We have live, remote instructors who are available to assist you 24/7. Our knowledgeable customer service representatives are also standing by to answer questions if you experience any technical issues during your training course. To find a course that will enable you to satisfy OSHA’s safety training requirements, browse our catalog of online OSHA safety courses today.